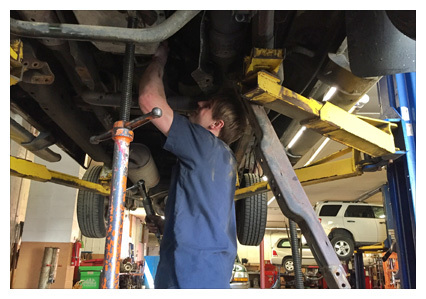 Angelo Transmissions at 214 West 16th Street in Erie, PA, not only provides quality transmission electronic diagnostics and repairs, we also offer PA Inspections & Emissions Testing as well as other automotive service and repair. At Angelo’s you can expect to get clear answers about what is needed for your car. Whether it’s to pass inspection or other repairs needed to get you back on the road and back to your busy life! When you bring your vehicle to Angelo Transmissions, you’ll feel confident that your automobile has been placed in the hands of competent, trustworthy automotive service and repair professionals. At Angelo’s, the customer is our first priority; and our reputation speaks for itself.